Being the capital of two important states, Punjab and Haryana, Chandigarh is a very beautiful city where a lot of people keep commuting on a daily basis. Chandigarh is considered to be one of the most important cities in India in terms of business. The communication network of the city is excellent considering the fact that people travel to and from Chandigarh on a daily basis. The city is very conveniently linked to all the major as well as minor cities by rail, road and air, details of which are mentioned below. 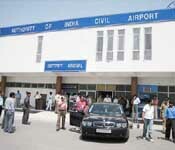 The International Airport of Chandigarh is eleven kilometers away from the main city and is connected to the major cities like Delhi, Mumbai, Jammu and Amritsar by Indian Airlines. Following are some of the flights that you can take to Chandigarh from the major Indian cities. The railway network of the city is the most convenient mode of all and the station is just eight kilometers away from the main city. The trains like Shatabdi and Himalayan Queen are the main trains which connect Chandigarh to the major cities of India regularly. Following are some of the trains that you can take to Chandigarh from the major Indian cities. The road network of the city is excellent with the distance between the major cities in the North India being Motor-able. The national highway 22 and 21 connects the city to the major cities and states of India and has nearly-perfect road conditions, having beautiful view on either side of the road. You can use your own vehicle and explore the city while you pay the visit as the roads of Chandigarh are in an excellent condition and you can also find the parking space anywhere in the city. All the areas of the city are well connected with broad neat roads which makes the experience of exploration a good one. 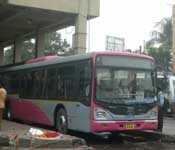 The local transport of the city is equally good with the buses being run by Chandigarh Transport Undertaking (CTU). The traffic rule is taken care of in Chandigarh and has a traffic park too in which workshops are held to educate people about the safe traffic rules. Rickshaws are the best mode of transport if you want to cover short distances. Auto rickshaws are also there which are provided by the ISBT for better communication.